Bucks parties are known for getting wild, but they’re also a great opportunity to spend some time celebrating with your friends. Whether it’s a day cruising on a private boat, an adrenaline pumping adventure or a night spent out on the town, there’s plenty of great bucks’ party ideas in Perth. Enjoy a beautiful day out on the river or ocean with a private and fully catered boat cruise. There’s nothing better than casting off on your own private boat for the day, with food, friends and of course plenty of drinks. Whether you’re cruising around between river banks or dropping anchor at sea, there’s always plenty of beautiful scenery to enjoy. Swimming, fishing and games are all great options for activities to do. Bringing along some inflatable donuts can be a lot of fun and are great for floating around as a group or for pulling along behind the boat. Rolling around in a giant inflated zorb ball is an experience everyone should try at least once. Jump into one of the transparent three metre balls and enjoy the fun of rolling the ball around by running (and falling) inside. The zorb balls come with their own arena enclosure for up to four balls at a time and can also be used while floating on water. Your friends will love the novelty of rolling around and bouncing into each other with this fun activity, especially after a few drinks. Enjoy the great outdoors with an exciting day of white water rafting. This adventure is exhilarating and will get your adrenaline pumping as you battle against the river rapids to navigate your shared rafts downstream. While more suited to the energetic type, this activity is a great option for a close group of friends to bond while working together as a team. Booking a guide to go with you can help with raft set up, direct your route and make sure no one gets lost. Hiring a fun sumo suit game for the afternoon can be the perfect addition to a backyard party or barbecue. Players start by putting on the padded sumo suits which reduces their ability to move. Once fitted and on the large padded mat, they battle it out in a one-on-one contest to push each other out of the centre. The sumo suits are a hilarious way to settle any rivalries and are also entertaining to watch. What’s better than having just one bucking bull machine to ride on? The bucking bull ‘ride off’ system makes this attraction even more fun with the added competition of staying on longer than your friend next to you. This attraction is a great way to settle differences in the spirit of friendly competition. Players can time how long they stay on and make a leader board to see who’s the best cowboy by the end of the night. The bull machines have both spin and bucking motions, making staying on harder than it looks. Luckily both bulls are surrounded by a large inflated ring, making sliding off completely safe. Planning a big night out on the town can be a good way to celebrate your bucks’ party without having to worry. Starting at a nearby restaurant is a good idea, and with plenty of great choices in Perth, you’ll be hard pressed not to find a good option. Once everyone has finished eating you can make your way out to the bars, pubs and clubs. Pre-arranging to have your own VIP areas at the locations you visit can take the hassle out of the night and let you enjoy yourselves without having to line-up and wait. Some venues may also offer hire of a private bartender and area for the night. With close access to nearby bars and clubs, you can spend the night drinking, dancing and enjoying yourself with your friends. Booking a party bus is a great way to go out on the town and not have to worry about getting around. It beats walking and will take you from place to place much quicker. Not only that, but you can keep the party going while aboard, with music, party lights and of course plenty of drinks. Your bucks group will love being able to stay together in one vehicle, rather than getting split up. With the brightly coloured lights and music, the party bus can turn heads all night long. Visiting the casino can be a great time and isn’t as expensive as many people might think. With some limits in place, everyone can enjoy playing the games. You can organise an entertaining group lesson on how to play beforehand, then go out on the floor to put your new skills to the test. Not everyone has to gamble either, as many group members will be content to kick back with a drink and watch their friends play. Casinos are a great place for a party as there’s something for everyone. 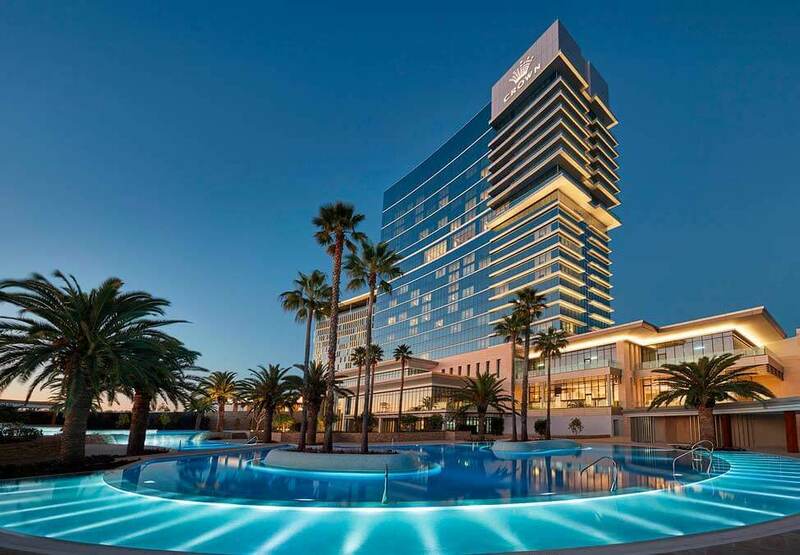 Crown Casino in Perth boasts restaurants, a sports bar and a night club. They also stay open all night and into the morning, making them a good place for a big night. If you’re interested in having a bit more privacy for your night, why not book a hotel room for your bucks’ party? You can plan a whole night in and around the hotel and the best part is you won’t have to worry about getting home. Depending on your style, you can organise any type of night, from movies and room service to drinking and games. Many hotels have their own lobby bars and swimming pools, making them a great place to visit with friends. If you’re in the mood to gamble but prefer to play with friends, you can also hire a blackjack or poker dealer to deal games in your room for the night. Looking for more fun activities and attractions? Contact Monsterball today. We offer a wide range of amusements for hire, and can make sure your bucks’ party is one to remember.